After shading a close first frame Williams ran riot as he ran in breaks of 72, 64 and 53 to lead 4-0 at the mid session interval. 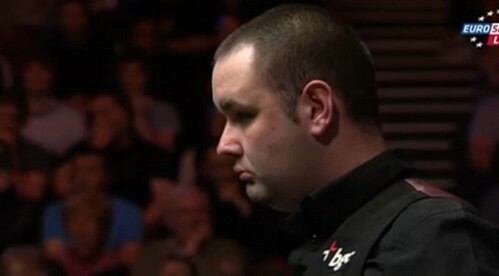 Williams, a devastating potter at his best looking so sanguine and relaxed against his Scottish opponant. Resuming Maguire knew that he had to start taking his chances if he was going to keep his hopes alive. He went some way towards doing that when he took the fifth frame comfortably and followed up with the sixth. From 4-0 Williams's lead had been sliced in half at 4-2. 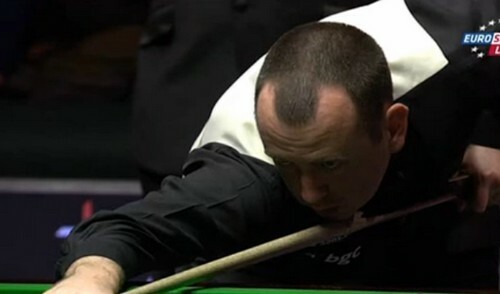 If Williams was feeling the pressure it didn't show as he dominated the seventh to stretch his lead to 5-2, leaving him just one frame from victory. Williams really should have wrapped up the match in the following frame. With just brown and the remaining colours left on the table he looked in great position as Maguire left the brown sitting over the corner pocket. Williams had no trouble potting the brown but the blue was a different story. A long range effort ended in failure as it missed by some margin before ending up in a pottable position for the Scotsman. Maguire was not about to let this chance slip and duly sank the blue to the centre and followed with the pink. All of a sudden Maguire looked a more relaxed player outwardly and he dominated the ninth frame, clinching it with a break of 77 to close to just one frame adrift at 4-5. But the Scotsman failed to sustain his comeback and take his chances to level at 5-5 and it was Williams who pieced together a decisive 51 to seal victory at 6-4. Perfection or “Snooker Entertainment” has Never been attained yet on live TV although the max’ 147 break has been accomplished regularly on snooker tournaments. The wonderful fast snooker break by Ronnie O’ is considered the most entertaining 147 but only to the many snooker addicts and habitual viewers of Television. To the general public Ronnie’s break was “Entertaining” but only as being original and unexpected with no relationship to the dull sameness endured now and for ever in all frames of Pro’ snooker.